Enjoy your favorite Thanksgiving side dish in one tasty bite! 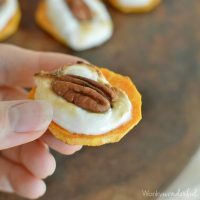 These 3 ingredient Sweet Potato Casserole Bites are a unique holiday appetizer recipe. I love taking meals or side dishes and turning them into appetizer recipes. Because, I Love Appetizers! These were a big hit at my house. The tease of sweet potato casserole really got me craving a holiday feast! The real question is, why do I only eat sweet potatoes during the holiday season? I ask myself that every year! 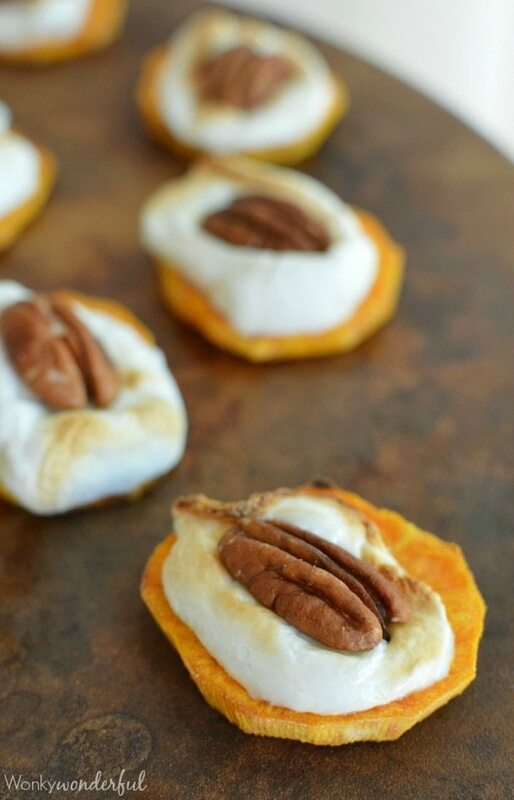 Made with just sweet potato slices, sliced marshmallows and pecans. This holiday appetizer is not only easy to make, it is much healthier than traditional sweet potato casserole. Not that marshmallows are a health food. But you get to ditch the butter and brown sugar. Who’s ready for holiday food!?! What is your favorite side dish? 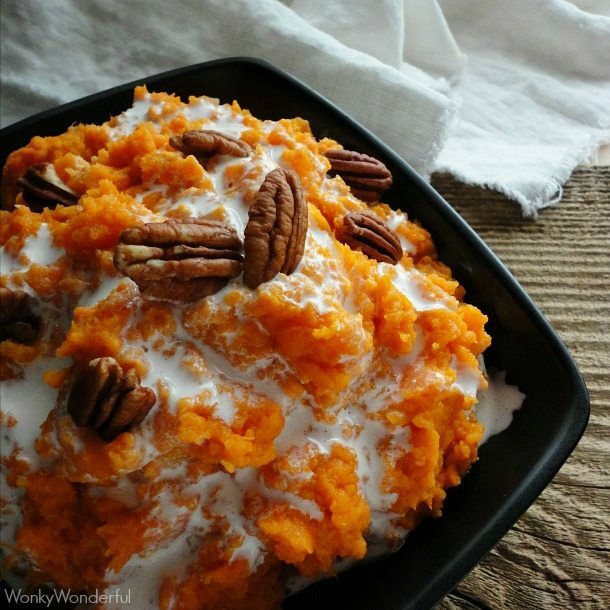 Is it sweet potato casserole or something else? 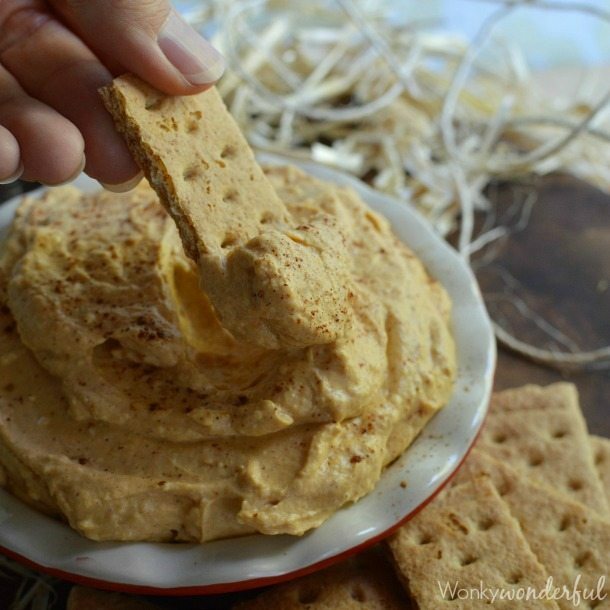 Maybe I’ll turn another Thanksgiving side dish into an appetizer recipe. Peel sweet potatoes and slice 1/4-1/2 inch thick. Lightly drizzle sweet potato slices with olive oil and toss to coat evenly. Transfer sweet potato slices to foil lined baking sheet that has been sprayed with non-stick. Bake for 10 minutes. Flip slices and bake 10 more minutes. 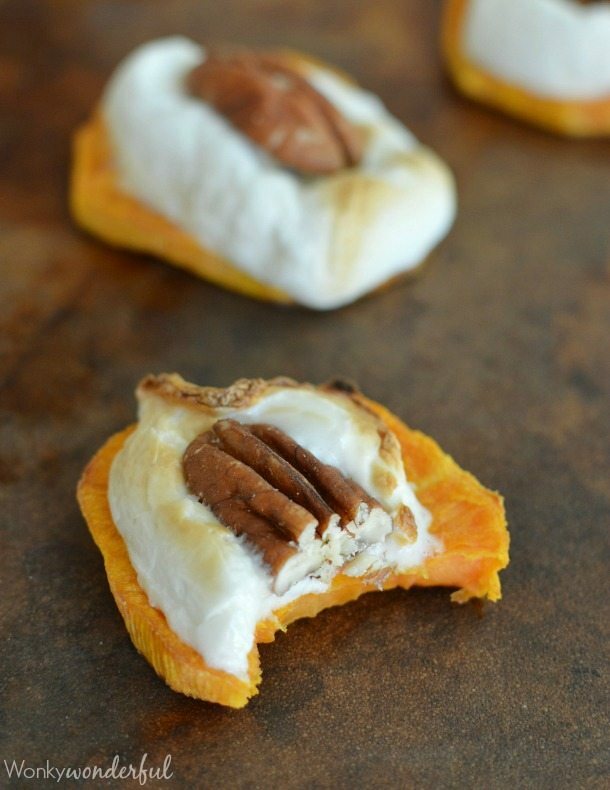 Top sweet potatoes with marshmallow slices and broil on high for 30-60 seconds or until lightly browned. Remove from oven and immediately top with pecan halves. 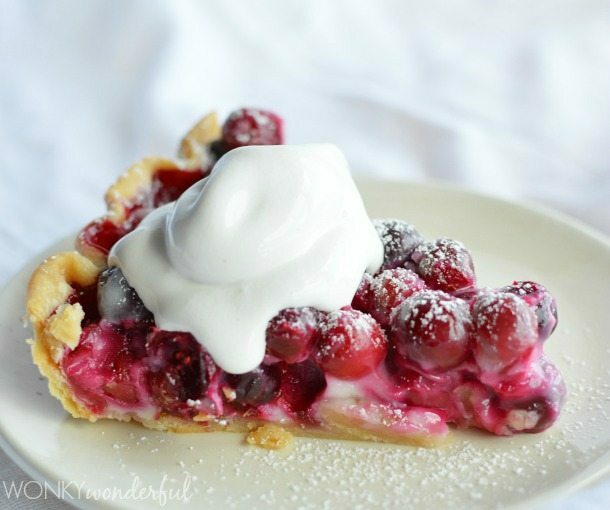 More Holiday Deliciousness. . .
What a perfect fall app idea! LOVE this! These were so yummy and such a big hit! Would these be ok to bake the day before serving? I think you could get away with pre-baking the sweet potatoes. Then just bake with the marshmallows and nuts before serving.